PTFE hose is manufactured with a conductive or non-conductive inner core depending on the demands of the application. However the steam hose application requires a conductive inner liner to dissipate static electrical charges. This is important because high resistivity fluids or gases at high velocity cause positive electrical charges to build on the inside of the PTFE liner. If not dissipated to the end of the hose, the charge will build until it arcs through the tube wall to the braid, causing catastrophic hose failure. To alleviate this, a PTFE inner core is manufactured with a thin conductive liner on the I.D. We recommend that the hose assemblies are made with Stainless Steel or Brass fittings. 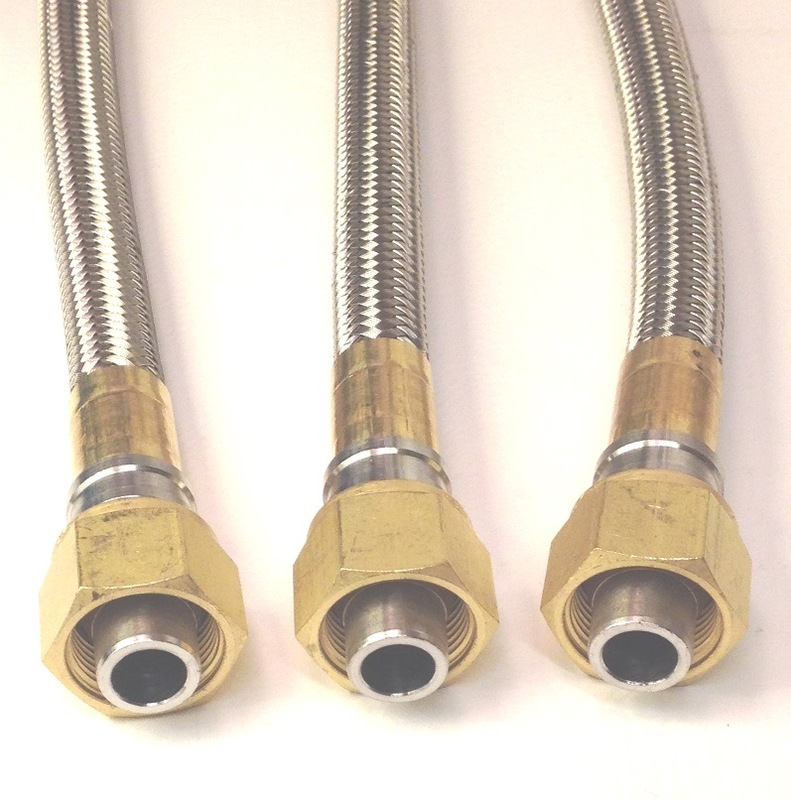 Most Steam hose assemblies that we make are of the -06 or -08 sizes but they can be made from sizes -03 through -16 upon request. Below we have some typical combinations however if you don't see what you are looking for please give us a call.